The excision of the delicate microporous membranes from cell culture inserts for histopathology often provides the experimenter with unexpected problems in handling and coordinating the removal of the membrane. For this purpose, we developed a helpful device, which supports the handling of the scraping out of the membrane. 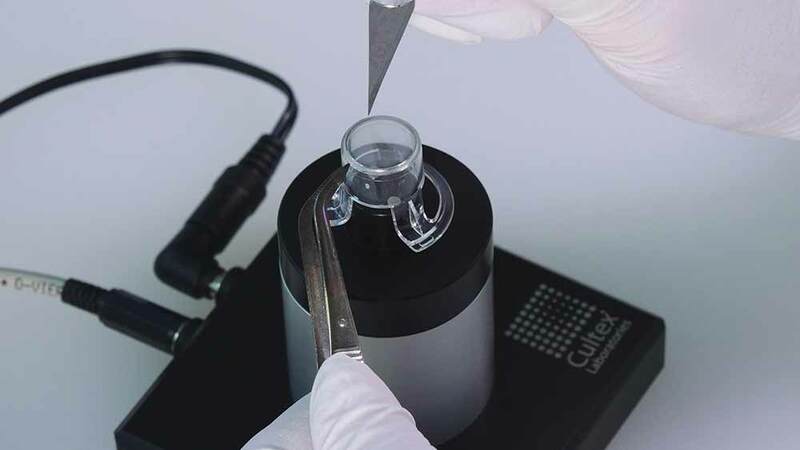 The cell culture insert is placed upside-down on a precisely fitting socket available for Falcon® and Transwell® inserts of different sizes, which can be rotated via a small motor inside the CULTEX® Insertomat. 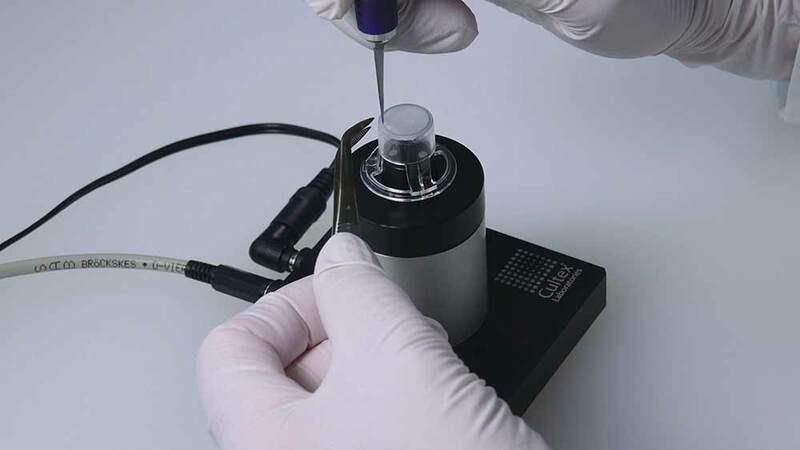 The membrane can now be touched at the edge with a scalpel. 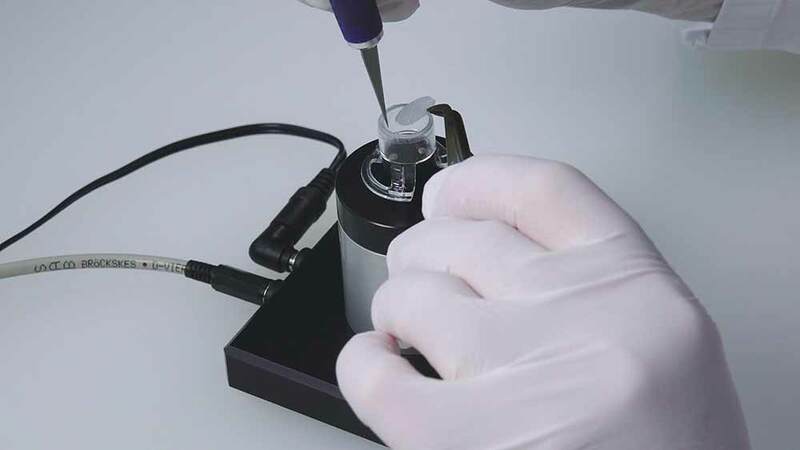 The rotation speed of the insert can be manually controlled by a foot pedal and favors the cutting process, during which the membrane is held by tweezers. At the end of the process, the membrane has been removed without damage and is ready for further processing.